All the exhilaration of sliding on snow – no special equipment or training required! The Whistler Blackcomb Coca-Cola Tube Park is open from December 12, 2018 to April 22, 2019. Hours and dates of operation are subject to change based upon weather and conditions. Note - the light board at the bottom of Excalibur indicates whether or not the Tube Park is open. Holiday periods include Family Day Weekend and Easter Weekend. *Operating dates and hours are weather permitting. 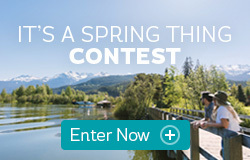 Please confirm with Whistler Blackcomb Guest Relations. 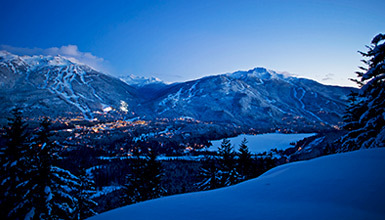 The Whistler Blackcomb Coca-Cola Tube Park is located just above mid-station of the Excalibur Gondola and adjacent to Lot 8. 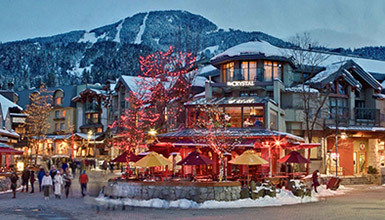 Access on foot is via a "no cost" ride on the lower line of the Excalibur Gondola up to the mid-station and is open the same hours as the Whistler Blackcomb Coca-Cola Tube Park. "No ticket required to access the Gondola". 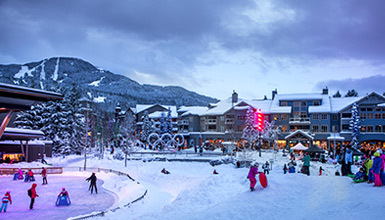 Once at the mid-station, guests cross the ski run towards Lot 7 and proceed up the side of the run on the walkway to the Whistler Blackcomb Coca-Cola Tube Park pathway entrance (it is well marked and lit during evening operations). Access by vehicle is by driving up to Lot 8 and crossing the bridge over to the Park. Children under 12 must be accompanied in the Tube Park by an Adult. Kids under 12 can still ride by themselves as long as they are tall enough. One person per tube only. Adults may hang onto their child's tube in the kids' lane. (conditions permitting). Tube chaining or linking is permitted where sliders can join up and go down a lane together as long as conditions permit. Ski Boots are not permitted in the Tube Park for safety reasons. There are staff stationed at the base of the lift, top of the lift, start of the mini-kids lane, regular lanes as well as in the run out lanes to provide assistance and instruction. 7 tube lanes to enjoy from a more gentle slope (kids lane) to longer faster lanes. There is a "kids only" lane half way up the conveyor for those under the minimum adult lane height requirement. Tube Lift (conveyor) for easy access up to the tube lanes. Hot snacks/beverages available for purchase on site. featuring Belgian Waffles, French hot dogs, hot chocolate, and some other types of snack food and beverages (no alcohol). Full sound system covering the entire park with family friendly music. *Tours are subject to availability and price changes. Mini-kids tickets are not available to book online and must be purchased at the window.